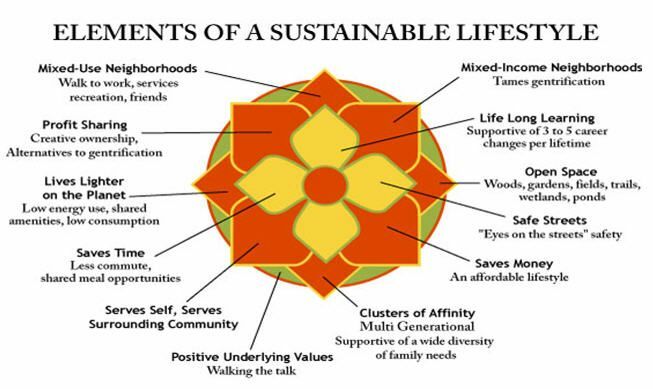 Living a sustainable life, what does it even mean? Living sustainable means thinking about the planet and climate change, but also using resources wisely.... nothing "disappears" here on the planet. All the electronics you throw away, all the batteries and toxic liquids you throw away.... they all end up somewhere on this planet and end up harming people in some way or another but many think "because i dont see it, it doesnt matter". For me living sustainable is about making wise choices, im not perfect and i will most likely never live a completely sustainable life, but i can make the best choices as possible but still living an optimal life... of course i could do so much more, but i believe that each choice makes a difference and if everyone made different choices it would have a huge impact as well. So below i will leave some suggestions about a more sustainable life/living! In todays society it is incredibly hard to live completley sustainable, if you were to do that you would most likely have to move out to the country, grow your own vegetables, rely on solar panels for heat and electricity in the house, have a well or somesort of water resource which is clean or can be safe enough to drink. And of course either using an eco car or cycling as transport. This of course might lead to isolation, lonliness and in the long term not mentally sustainable, though for some this type of living is perfect for them. In todays society i see sustainability alot more about making better changes, being more aware about the different impacts choices may have. Buying locally is also good. I.e if you live in cold countries it might be hard to be a raw vegan because the fruit and vegetables needed have to be transported long distances and both effect the climate and have less nutrition compared to if you lived in the country where the fruit and vegetables are grown. Buy local as much as possible. And there is also the debate about palmoil, and that is up to each person to make their choice... fornow i think that as long as its from a certified rainforest its ok, but i am trying to limit my consumtion of palmoil anyway and mostly eat whole foods. Other things you can think about are turning off electronics and lights when not using them/in the room. Not charging electronics just because, only when necessary. Not having extra heat on when not necessary. Shorter showers can also save water. Swapping clothes, buying second hand and minimalistic approach to material items. Do you really need 5 of the same tops? Or maybe you can swap clothes with friends or atleast give your old clothes to charity and try to think smart when buying new items! Your way of transport.... is there a possibility to carpool? Travel with public transport? Cycle? Walk? Or can you maybe switch to a more environmentally friendly car...... this of course always seems to cause debate as many love driving, want the fanciest car and would never give it up. And if thats the case, either you love driving or you have no choice (I.e need a car for transport because of distance) then just make even better choices in the other area of your life! And of course things such as living in a tiny house, solar panel energy, wind mills for energy are other recommendations however they arent as easily changed to and of course require a huge investment. So instead i think that lots of small changes and efforts put together make a big difference in the long term! Thinking smart... thinking about the impact of choices and the consequences some choices may have. Be aware is my best advice... you cant/dont always make the best choices and thats ok. For example in the future i do want to travel or road trip and that of course would have a huge effect on the environment, but i also feel that i need to live life and with all the other changes and with a vegan diet then a road trip or travelling (very infrequently) is ok, haha. But its also being aware of those things and making the choice. Just like with meat.... i think everyone should know the truth and the reality and THEN they can make their choice... some people just dont care that its an animal or care about the reality, and thats their choice, then they atleast know and its ok. But if you dont know, then you cant really make an unbiased choice because you dont know the reality. Which food supplements do you take? And do you prefer b12 in a from of methylcobalamin or cyanocobalamin? Thanks for writing this, I found it incredibly interesting. It is a huge subject and so important, I could read loads on this! I recently read a book of a womans personal account on how she lived on £1 a day for a year. She had to learn how to shop cost effectively and not waste food, travelled on foot or by bike, got clothes from charity shops and put on an extra jumper rather than switch the heating on. She struggled to begin with but managed it and by the end of the year she couldn't imagine going back to her old life style. She was healthier, fitter, happier and had made many new friends as she went to many free social events. 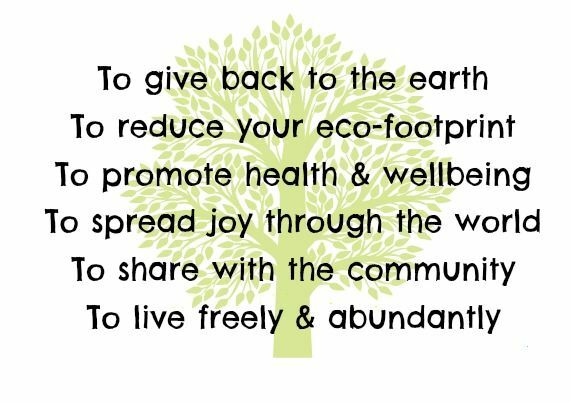 I think we could all benefit from taking some of the tips of sustainable living on board and if we did we would collectively make a difference. It makes perfect sense to me. The important of rest and my exercise addiction. What is a normal way to feel about your body?